On September 19th shortly before noon, Clemson’s Kappa Beta chapter of Kappa Kappa Psi hosted a reading band as a part of our mini-retreat. This was a refreshing change for us, as we are not typically known for straying from our tried-and-true traditions. In the past, mini-retreat has centered on a visiting speaker and brotherhood bonding activities – but little else. This year, however, a few members of our chapter wanted to venture outside the norm, and thus we formed the reading band. These pieces contained many woodwind features, which fit the instrumentation of the day. We strayed from tradition in this area as well; our Clemson bands are highly focused on brass and percussion. Therefore, it was a pleasant surprise to hear our woodwinds take the lead and shine. 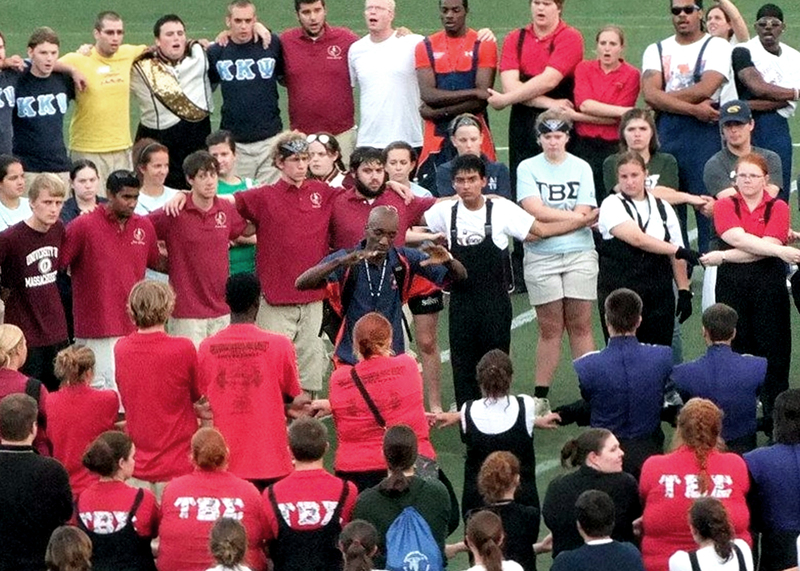 Clemson is one of the few universities without a music major, but with a large number of highly talented musicians. To compound this issue, we have a limited number of ensembles, and even fewer student concerts. As a result, many of our brothers and musicians here only join the marching band, where they are challenged musically but never play in a concert hall. 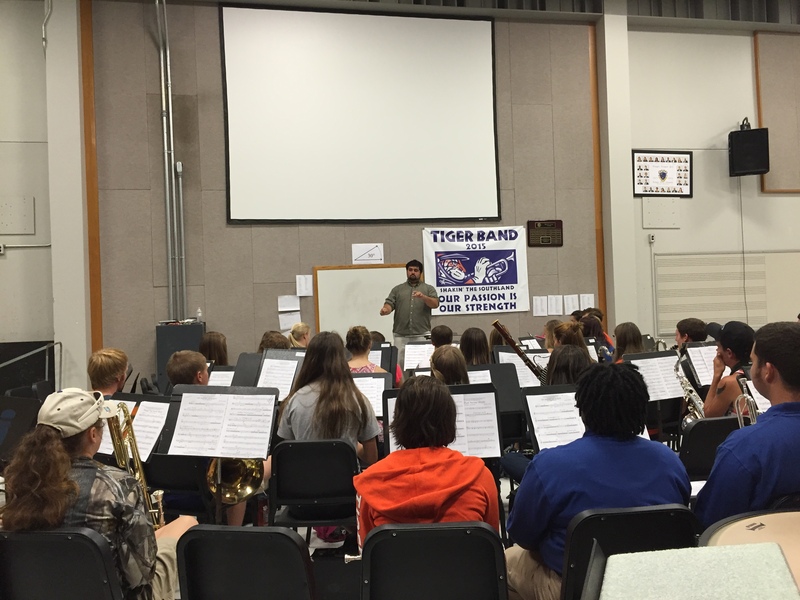 The reading band allowed musicians the ability to perform rigorous concert material in a traditional setting. Following the clinic, we all collected outside for a cookout. Brothers took turns cooking the hot dogs and burgers, and we served the food to the directors and other musicians. 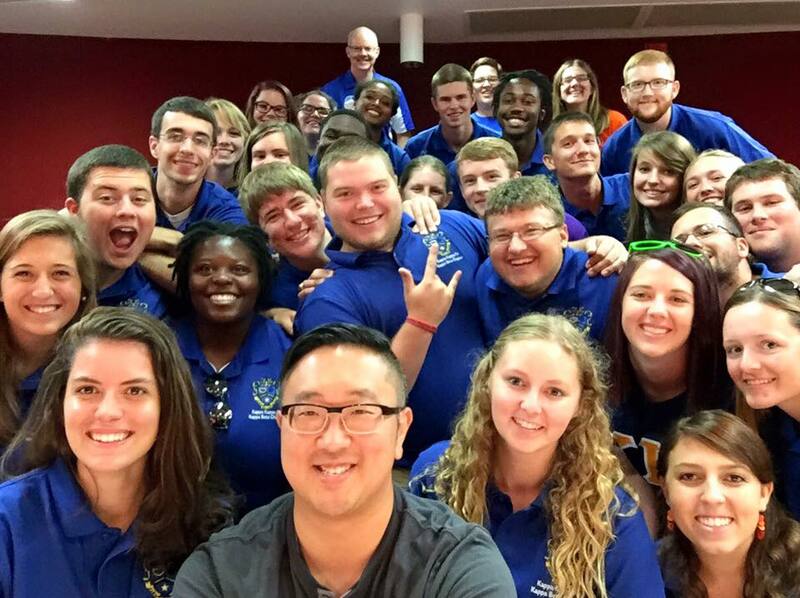 It was a refreshing experience – a lunch not only focused on the camaraderie between brothers, but on fulfilling one of our main purposes in Kappa Kappa Psi: serving the college bands. This was the first time in our chapter history that mini-retreat included such a hands-on revival of the fraternity’s principles. Everyone expected reading band to be the only major change to this yearly gathering, but we were all in for a surprise. Once we finished lunch, Kappa Beta headed inside for Cross’s promised presentation. However, we were all immediately astonished when – instead of hearing a lecture on a certain aspect of the fraternity, Cross began asking us questions. His intent was to learn more about our individual members, and through that start the conversations we needed to have. He began by asking for all of our majors, and many small conversations sprung from this. Then he dove in, asking questions about our service, fundraising projects, and the needs of Clemson’s bands. This began a chapter-wide discussion, with everyone delving into what plans have worked and where we can make improvements. He compared our efforts to those on the west coast, and we gleaned ideas on how those chapters work in relation to their school. Finally, he moved us to ask deeper questions such as, “What is Kappa Beta?” and “How do we not let music go stale?” These conversations helped us to grow closer as a chapter, and they opened the lines of communication. In taking the risk of incorporating a reading band into our traditional mini-retreat, we experienced a successful weekend like never before. Our efforts not only allowed us to further serve Clemson’s band members, but they allowed us to grow closer as a chapter. 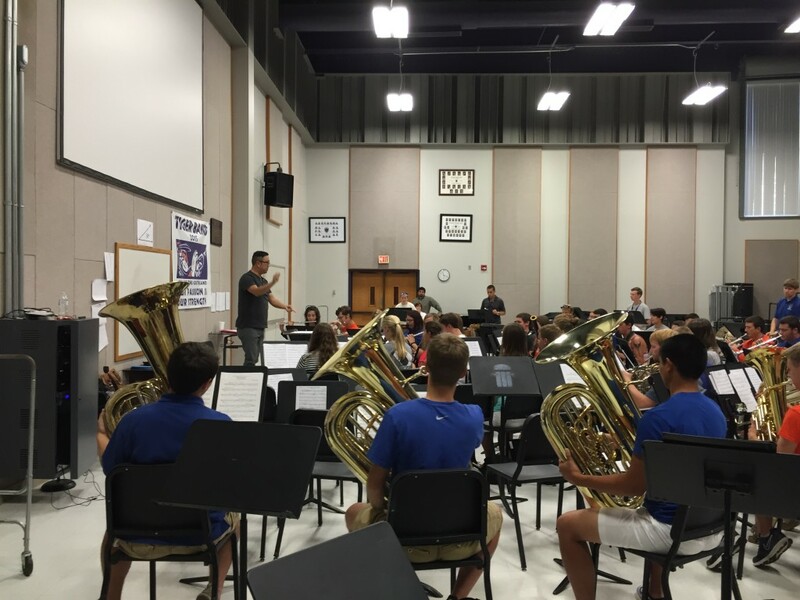 We learned a vital lesson: stepping out of our comfort zone might look potentially disastrous in the planning stage, but it is a vital way for our chapter to continue to grow and develop new strategies for serving our college bands. We will continue to challenge ourselves in this area, and have made recent headway – we are submitting a DLC bid, innovating our snack process for gameday, and writing this article (the first published from our chapter for the Podium in several years). We would like to thank the National Council for granting us leadership funds for this special mini-retreat, and we would also like to thank Dr. Cross for both making this experience possible and for opening our eyes to new ideas. Previous story Which Pillar is Most Important: Music, Sisterhood, or Service?